Custom routines of premium CBD — from our farm to your home — with a dosage concierge on call. Our mission is to help women live their fullest lives. To achieve Equilibria is to achieve homeostasis of the female body. Whether you’re using CBD for inflammation, pain relief, or everyday anxiety, Equilibria is here for you. 100% traceability from our proprietary seed to your home. We hand-harvest our flower and extract our full-spectrum oil on-site, ensuring no fillers or fluff. 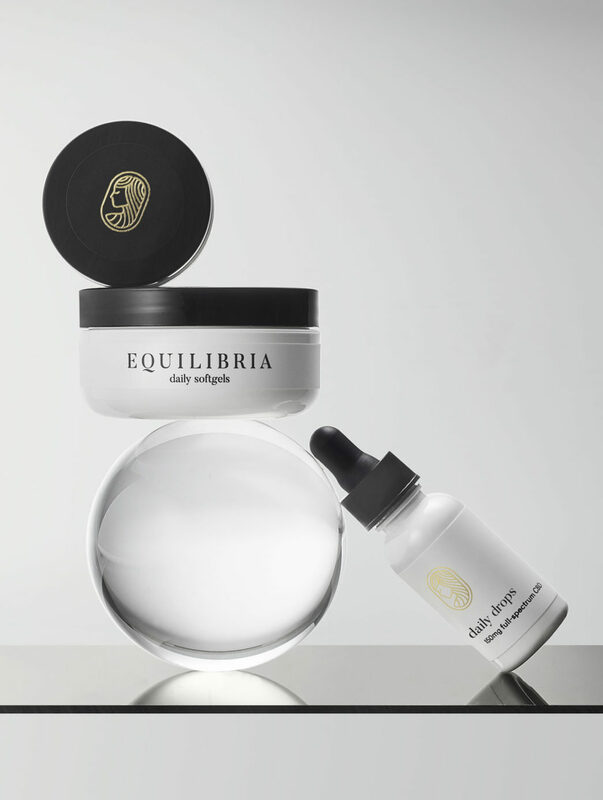 Anxiety to arthritis to autoimmune, Equilibria helps craft the perfect CBD routine for your needs. Monthly delivery to your door for optimal health impact. One-on-one support with advisors for confident use of the right dose with the right delivery mechanism. Our Dosage Team is available 7 days a week. Not a miracle. Just science. CBD is a natural compound (“phytocannabinoid”) found within industrial hemp fowers. It’s been clinically proven to improve mental and physical well-being when taken properly and consistently. Not all CBD is grown, sown, or processed equally, but ours is exceptional. EQ’s bioscience team has 30+ years’ experience in agriculture. Our current product line features 4-8x the cannabinoids and terpenes versus the average CBD product. Whether you’re 37 or 73, your daily dose plus episodic needs (flare up? PMS? hot flashes?) can be tailored into a box that’s truly yours. Re-customize as needed! Pause, postpone, or cancel at any time. How is EQs product legal, if it has THC in it? The Federal Farm Bill (the Agricultural Act of 2014) legalized the production and sale of hemp bred with 0.3% percent or less THC. The industrial hemp plants we use in our products meets this requirement, and our full-spectrum, whole-flower hemp CBD products are completely federally legal. Nope! Our industrial hemp is bred to contain less than 0.3% THC. It won’t get you high or make you feel stoned, and it’s federally 100% legal. Most women simply feel relaxed, not sleepy, with our products. But we recommend using your ingested products (daily softgels or daily drops) in the evening, just in case you find yourself ready to head to bed earlier than usual. The effect is somehow subtle and substantial, like that warm feeling after a few sips of your favorite wine. Where does EQs industrial hemp come from? Quality and consistency are everything! The hemp in our CBD products is sourced from our 1,100-acre Colorado farm. The farm harvests all its hemp flowers to create our full-spectrum hemp flower oil — no seeds, leaves, or stalks, and DEFINITELY no isolate. These statements have not been evaluated by the FDA. These products are not intended to diagnose, treat, cure or prevent any disease or ailment. Ingredients: Activated full spectrum hemp flower oil CBD concentrate, kosher beef gelatin, MCT oil, vegetable glycerin, and purified water. Suggested use: Start with one softgel at bedtime. Increase dose as needed for desired effect. Formula is safe for daytime use, but we recommend starting with bedtime use to gauge your body’s response. Contact us with dosing questions. Suggested use: Place one full dropper under tongue (hold 60 seconds before swallowing) as needed for immediate relief from episodic stress, anxiety, pain, etc. Increase dosage as needed. Suggested use: Transdermal and great for muscle and nerve pain!